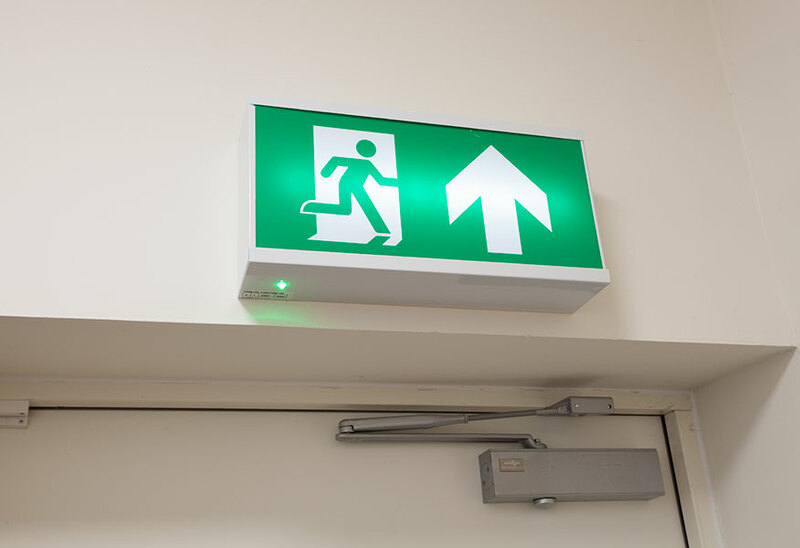 Tamlite Lighting’s Business Manager Jason Horton highlights the legislative and performance requirements of emergency lighting systems, and the broader changes affecting the implementation of emergency lighting. “What is emergency lighting?” is not a question I’m often asked. It’s an industry-standard phrase and therefore well-understood – isn’t it? However, perhaps it’s time to change that phrase, as while its importance in an informal context might sometimes be questionable, it can quite literally be a case of life or death in the professional environment. Not only can the basic meaning of the phrase sometimes be in doubt, there are also many instances of it being applied in an erroneous or misleading fashion. Contractors can lead the way in ensuring their clients are fully aware of the meanings, implications and requirements of every aspect of this specialist lighting. There is a very good case for suggesting that ‘safety lighting’ would be a better term than ‘emergency lighting’ since the latter is generally held to comprise lighting both associated with the immediate escape from a building, and systems installed to ease general navigation, for example in the event of a mains failure. The issue of back-up power in the form of battery capability is absolutely critical to ‘emergency lighting’ since it should continue to operate in a number of extreme real-world scenarios. For example, the probability of a fire or flood is very low, but the impact on staff and operations in the event that either does occur, is almost guaranteed to be very severe. Contrastingly, the probability of a power cut is higher, but the effect on the life of the building – at least in the short-term – is unlikely to be too severe. Nonetheless, emergency lighting must continue to operate, charging the battery, with as little interruption as possible in either scenario. 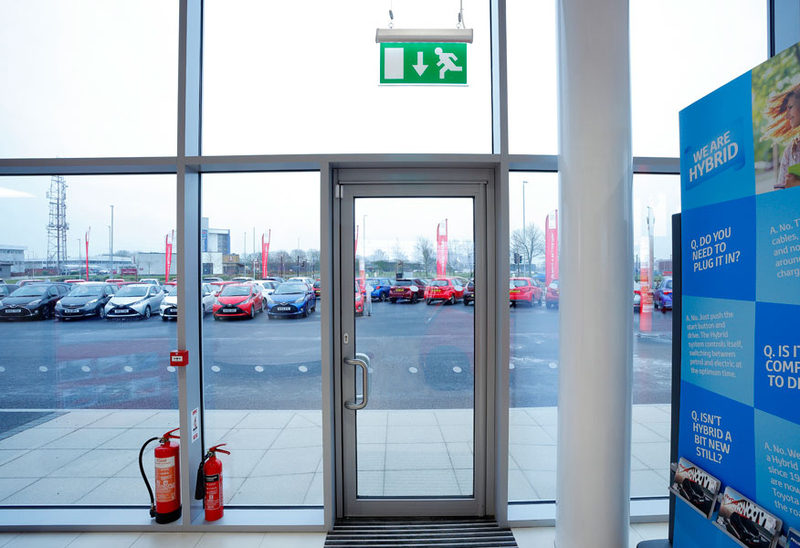 The outside observer would likely conclude that the importance of effective emergency lighting is self-evident and should always be at the top of the priority list. But the reality is that not everyone sees it that way; rather too often, emergency lighting can be marginalised because in real, day-to-day terms it offers no ‘payback’. It is only when an ‘emergency’ or power failure occurs that its value is highlighted, so in the interim it can be possible to regard it as a lower priority for investment. Nonetheless, there is a legislative dimension to the deployment of emergency lighting that is ignored by companies at their peril. The crucial document in this regard is the Regulatory Reform (Fire Safety) Order 2005, which builds on and simplifies the Fire Precautions Act 1961 and the Fire Precautions (Workplace) Regulations 1997/1999. It outlines the steps that must be taken to make a workplace as safe as possible in the event of an emergency, including the systems and processes that can ensure an expedient evacuation. With specific regard to lighting, building management teams in the UK need to ensure they are fully up to speed with BS 5266, which gives detailed guidance on the application and practice of emergency lighting, and manufacturers are ideally placed to advise on this. The Standard’s recommendations have been devised to encourage uniformity of application, based on providing adequate safety to people in the event that normal lighting is interrupted. As might be expected with such a safety-critical standard, BS 5266 continues to evolve and was the subject of a substantial revision in 2016. As a result the standard now features the concept of ‘Emergency Safety Lighting’ and ‘Stay Put Lighting’ in response to increased recognition of the application of emergency lighting to assist the safety of occupants who may stay in a building during a failure of mains power supply. The latest version of BS 5266 provides risk assessors with guidance on where this kind of emergency lighting might be appropriate. 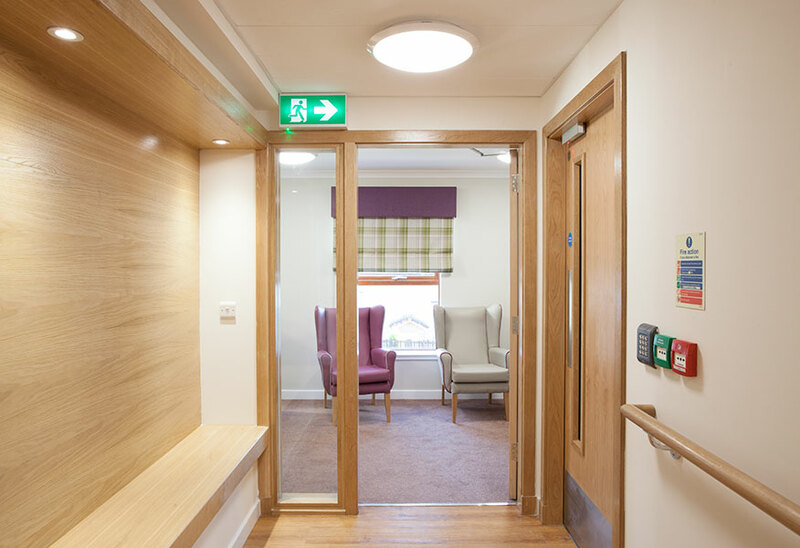 Specific scenarios include residential care-homes, where Stay Put Lighting guidelines call for the increase of lux levels to allow staff to safely move or evacuate residents as required. The same principle has yet to be applied to high-rise, multi-occupancy buildings, where there is surely a good case to be made for mandatory Stay Put Lighting in circumstances where the Fire Service advises residents to remain in their own individual flats – but there has been a groundswell of debate around this possibility, so maybe it will happen in due course. The recently completed lighting project at Nottingham City Homes’ Garfield Court, drew on a variety of the latest LED fittings geared towards large public or private facilities. With the exception of the common room, all areas now feature occupancy sensors to minimise unnecessary illumination and to provide effective control of the lighting. In the corridor areas, the safety of residents at all times is ensured by a dimming sensor whose default setting is 10% illumination, meaning that these spaces are never cast into complete darkness. It was essential to maintain general illumination and emergency illumination for the safety of residents, and that was at the forefront of the team’s calculation when determining which Vision lighting sensors could be deployed, and where. Meanwhile, it is also important for contractors to be aware of the requirements of BS EN 60598-2-22, which outlines to manufacturers the specification of an emergency lighting product that is worthy of the description. Hence, seeking product that is compliant with this standard is the best possible route to selecting a system that is truly ‘fit for purpose’; although compliance isn’t always easy to verify, as some manufacturers seem reluctant to supply the core data in a recognisable or calculable format. There is nothing to equal a careful reading of these standards, but for the purposes of reading this article it is generally accepted that the critical levels are 1 lux for escape route lighting and 0.5 lux for ‘anti-panic’ illumination in open areas. This could well be the subject of change in the future as industry opinion continues to shift in the direction of increased lux levels for emergency systems required in the USA, where 10 lux is generally expected for escape route lighting. Battery life is also broached in the standards, but the most important stipulation to bear in mind is that batteries should be able to support at least three hours of operation after a mains failure. Even this is not straightforward, however; battery capacity diminishes over time, so luminaire designers and manufacturers must factor in appropriate spare capacity to ensure overall emergency lighting system longevity. With so many potential pitfalls surrounding emergency lighting, it follows that selecting a lighting supplier with relevant product ranges and areas of experience is an eminently sensible move; particularly one that has managed to stay one step ahead of changing requirements. The bottom line is always an important consideration, but cheaper safety lighting doesn’t always translate to the most cost-effective or the safest. 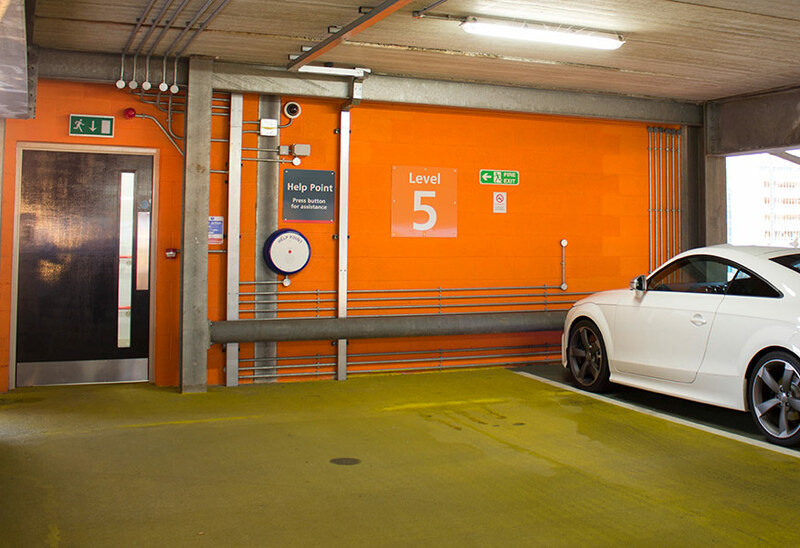 By selecting high-specification products with lower power consumption – thanks to the use of the latest LED and optics – it is possible to achieve an emergency lighting system that is both efficient and cost-effective. Partnering with a specialist can also have significant benefits for the post-installation life of a system; monthly functionality testing and annual three-hour tests are stipulated by the aforementioned Standards. Bespoke solutions to ensure legal compliance in carrying out the testing process are available, including an autonomous emergency lighting test solution which has been developed to be easy to access and update, with users able to download test logs and identify maintenance required. Such an autonomous system is invaluable in minimising the possibilities of human error, as well as ensuring compliance with safety legislation and insurance requirements. While the implementation of emergency lighting is certainly not straightforward, it can be achieved effectively and cost-efficiently when a pragmatic approach to research, design and installation is taken.